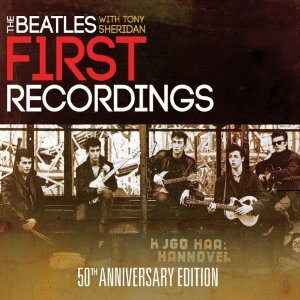 This features tracks the band performed with singer Tony Sheridan as Polydor artists after the German bandleader and music executive Bert Kaempfert discovered them performing in Hamburg in 1961. The CD’s come with a booklet full of rarely seen photographs taken by one-time Beatles guitarist Stuart Sutcliffe’s fiancee Astrid Kirchherr. It also has band contracts, poster art from their early shows and handwritten biographies by each member of the group. Time-Life has a small website with a little bit more detail. And there’s some good information about these recordings here. 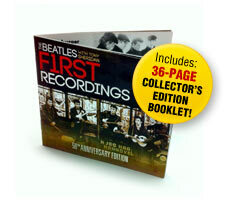 This entry was posted in Beatles, Beatles Collecting, Beatles Music and tagged Beatles, Beatles Collecting, First Recordings, Music by beatlesblogger. Bookmark the permalink.